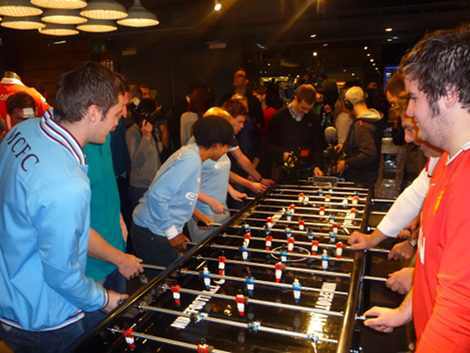 Last week, Footy-Boots.com gave two lucky competition winners the chance to be at the grand re-opening of the Nike Manchester Football Store on Market Street. Manchester United fan Andy was one of the lucky winners and spent the day rubbing shoulders with some of the crÄ‚¨me de la crÄ‚¨me of Manchester’s biggest clubs. As I made my way down Market Street I noticed that there was a crowd gathering outside the store with everyone eager to know what was taking place. Barriers had been set up outside which were patrolled by men the size of the average family house. From the outside the store looked great, the table football was all set up ready to go, what looked like TV cameras were everywhere and I suddenly became rather nervous. The team from Footy-Boots were on hand though, they gave the bouncers a nod and after a lift of the barrier and I was in! The first thing to greet me when I walked in was two lines of mannequins. Half in the United kit and half in the City strip. Just behind them Utd midfielder Darron Gibson was being interviewed next to a wall full of the latest Total 90 Laser III˘, Superfly II‘s, Tiempo Legend‘s as well as the Nike Elite Series. I was then taken downstairs where Rio Ferdinand and Javier ‹Ĺ›Chicharito˘€žË Hernandez were giving interviews, and generally hanging about – it was becoming more surreal by the minute! Downstairs in the store the kits of the Nike sponsored teams lined the walls, Inter, Juventus, Barcelona, Brazil, the list goes on. On the counter next to the shirt printing machines two computers were all ready to go for people wanting to design there own NikeiD' football boots, trainers and shirts. I made a bee-line for one but was stopped by somebody asking my shirt size, surname and preferred number? After about 5 minutes I was presented with my own Manchester United Home Shirt with name and number ready for the table football match! I was more than happy as had not yet bought the new strip; a fantastic and unexpected bonus! I was then taken back upstairs to find the gathering of people outside had grown into a huge crowd. People were on other peoples shoulders and camera phones were flashing away. The crowd inside the store too had grown. More photographers, more film crews and more interviewers. 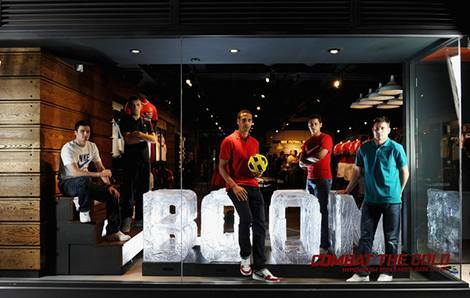 City players James Milner and Adam Johnson had arrived too – as had ref for the day, Tinchy Stryder – the players along with the Tinchy had made their way into the window of the store for a photo shoot. Sat on a sign that said ‹Ĺ›BOOM˘€žË they posed for photos whilst the crowd went wild; quite an impressive sight! BOOM! Beats having mannequins in the window, that’s for sure! It was time for the big match. The previous evening in the Manchester derby the game finished 0-0 so a lot rested on this! I was informed I would be in game one. I got my game head on! The game started with just the pros playing each other and then it was time for me to take to the field. I was at this point quite nervous and am still unsure why. Our team consisted of : myself in defence, Chicharito in defensive midfield, Gibson in the attacking midfield and Rio upfront. Quite a formidable line up. The game was well and truly on, we soon took the lead. Rio was on fire upfront shouting ‹Ĺ›Bang˘€žË every time he had a shot, and after a last ditch block a shout of ‹Ĺ›good tackle lad˘€žË came from the top of the table – the last person to shout that to me was my mate at Sunday league so to have the England captain shouting it was quite bizarre! The game soon got away from City and we eventually ran out 10-2 winners. I could tell by the look on Rios face this was probably up there with the Champions League victory in Moscow. Rio bangs another one in up front!! We soon found ourselves back downstairs with the players where we had the opportunity to get a photo and an autograph – I managed to get snaps with Rio and Hernandez as well as getting them to sign an old Utd top I’d brought with me. 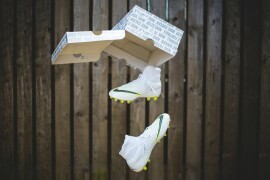 I took the chance to have one last look around the walls of football boots whilst the Footy-Boots team were chatting about the NikeiD Service with Adam Johnson, and as soon as they wrapped up their time with the England International I said my thanks and farewells and was on my way. If I could sum up the day in one word It would be AMAZING. A fantastic experience I will never forget. 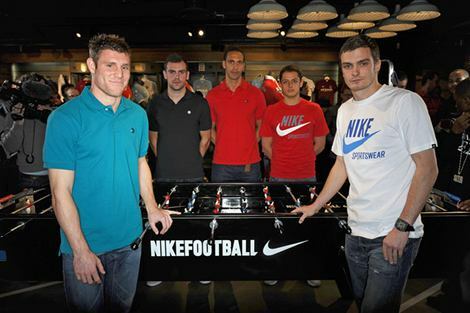 A big thank you also to Nike for a truly awesome event and, indeed, a brilliant new store. 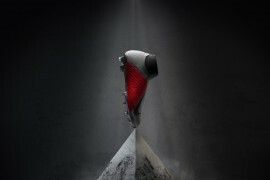 It is good to see a company like Nike giving fans fans the opportunity to experience something like that. I would recommend all football fans to check out the new store if they’re ever in Manchester. It really is something special and once I have saved up I’ll be back down there to buy my some new football boots and have another good look around! 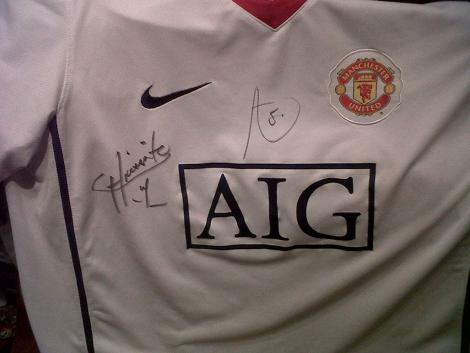 Thanks to Chicharito and Rio for inking my shirt! Thanks again Footy-Boots.com. I’ll never forget the day me, Rio, Gibson and Chicharito beat City 10-2! England is the best. Camone it!